Annual convention shows the kosher and calorie-minded food industries are each taking a page from the other’s cookbook. SECAUCUS, N.J. — When Scott Gantwerker and Wayne Silverman were roommates 40 years ago at Michigan State University, they regularly made granola. 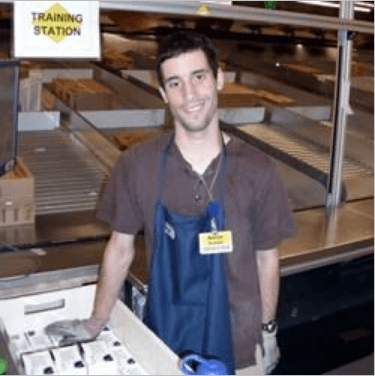 After graduation, Gantwerker went on to a career in the food industry, working for such companies as Quaker Oats, Pepsi and Pepperidge Farm. 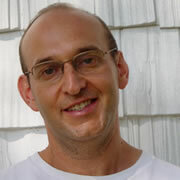 Silverman, for his part, embarked on a career at communal organizations, including leadership roles at the Jewish Federation in Austin, Texas, and Hillels of Georgia. But the two men never lost their love for granola, and eventually found their way back to it — and each other. “We put our careers on pause so we could do it full-time,” says Gantwerker, speaking at Kosherfest 2012, where the pair’s holiday-friendly cereal — branded Matzolah — was named the best new kosher-for-Passover food. “Most Passover breakfast products are so bland that the box often tastes better than what’s inside,” Silverman says. 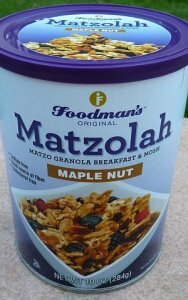 “So I experimented with making a delicious granola that had matza and quality ingredients that were permitted on the holiday” — such as coconuts, California raisins and three types of nuts. 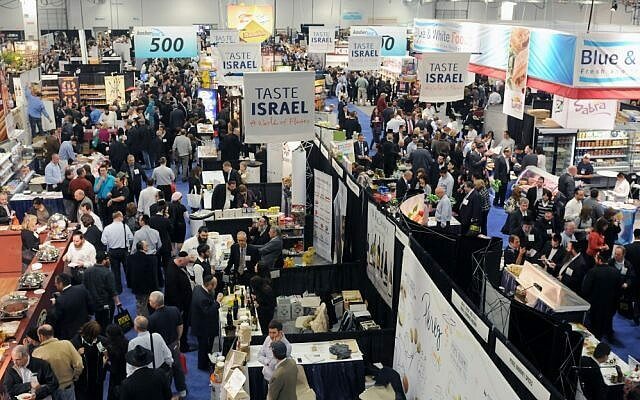 Foodman LLC, which makes and markets Matzolah, was one of 325 companies promoting their wares earlier this month at Kosherfest, the annual trade show of the kosher food industry. Now in its 24th year, the convention attracts thousands of kashrut professionals to Secaucus, NJ, where visitors range from chefs and cookbook writers to representatives of supermarket chains, specialty food stores and Jewish summer camps. Much is at stake for those with products to push: Already valued at $12.5 billion, the kosher food market is growing at an annual rate of 15 percent, according to a 2010 study by Lubicom Marketing and Consulting, which specializes in kosher products. While Kosherfest showcased a wide spectrum of foods — featured products came from countries including Vietnam, Argentina and the Philippines — a growing number are attempting to capitalize on consumer enthusiasm for health food, highlighting their bona fides as sugar-free, gluten-free, organic or vegan. On one side, kosher food companies are responding to demand from health-minded customers, with Adama Naturals rolling out a line of meats that contain no nitrates or artificial ingredients. Skinny Kosher Creations offers soy-based meals for those trying to lose weight. At the same time, some traditionally non-kosher companies have realized that going kosher expands their customer base — and that a kosher label can also have a positive association among the non-observant. Like Viki’s Granola, a number of additional nutrition- and fitness-minded companies have obtained kosher status despite having no direct connection to anything Jewish. Kickbutt Amped Energy Ballz, for example, a dietary supplement made in Canada, offered its wares not far from Transition Nutrition’s Bliss Mix, a combination of nuts and dried berries. While not every Kosherfest product reflected the trend toward healthier eating — high-calorie deli meats, pastries and candy remained in abundance — many traditional Jewish food producers are evolving, creating healthier versions of familiar dishes or venturing into entirely new terrain. Gold’s, long known for its borscht, horseradish and schav — an Ashkenazi soup — now makes salsa and Wasabi. Manischewitz, synonymous with kiddush wine and gefilte fish, is now described by CEO and co-president Alain Bankier as “a food company which happens to be kosher.” Having “rebranded and expanded,” in Bankier’s words, “to be better, healthier, tastier,” the company now offers products such as Moroccan roasted vegetables; a chicken couscous sauce; a flaxseed bar made with almonds and cranberries; and “exotic root” vegetable chips. If the number of visitors lining up for a sample was any indication, however, Kosherfest’s most popular new item was relatively healthy — at least on the scale of kosher desserts. As one of the gathering’s biggest hits, the company has high hopes for how its product will do among kosher consumers. NEW HAVEN – Even before Adam Greenberg made headlines a couple of weeks ago by signing a one-day contract with the Miami Marlins and swinging his bat as a one-day-only Major League Baseball player, the Guilford native was making the Connecticut Jewish community proud by stepping up to the plate for the State of Israel during the recent World Baseball Classic (WBC) qualifiers. And Greenberg wasn’t the only Connecticut native to do so – Josh Zeid, who grew up in New Haven, was right there with him. It all began when Greenberg, who now lives in Branford, and Zeid were among those selected to Team Israel’s 28 player roster, which was managed by Brad Ausmus, the former Major League catcher who was born in New Haven. Team Israel had a very strong showing in its first ever WBC qualifying tournament, held Sept, 19-21 at Roger Dean Stadium in Jupiter, Fla. The modified round robin format tournament featured teams from France, Spain, South Africa and Israel. Israel defeated South Africa 7-2 in game 1, and Israel defeated Spain 4-2 in its second game. Israel played Spain again in the final game of the tournament — the winner would advance to the main WBC tournament, to be held in March 2013. Israel lost a heartbreaker, 9-7 in ten innings, before a crowd of 1,500. The World Baseball Classic is considered to be the premier international baseball tournament. Run by World Baseball Classic, Inc, it is sanctioned by the International Baseball Federation. Major League Baseball and the Major League Baseball Player’s Association together created the event, which has thus far been played twice. Team Japan, the reigning World Baseball Classic Champion, won the tournament in both 2006 and 2009. 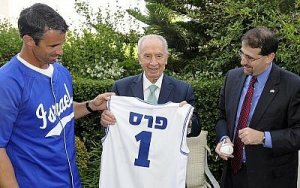 Haim Katz, president of the Israel Association of Baseball (IAB) was excited when he was approached by the World Baseball Classic to “present motivation and a potential roster” for a team to potentially participate in the 2012 qualifiers. “Somewhat to our surprise, they accepted us,” notes Katz with a laugh. “We would have preferred to play the tournament in Israel, but we have no field — we’re are working on it!” Katz reports that there is an initiative underway to build a $5 million field and ballpark in Ra’anana. 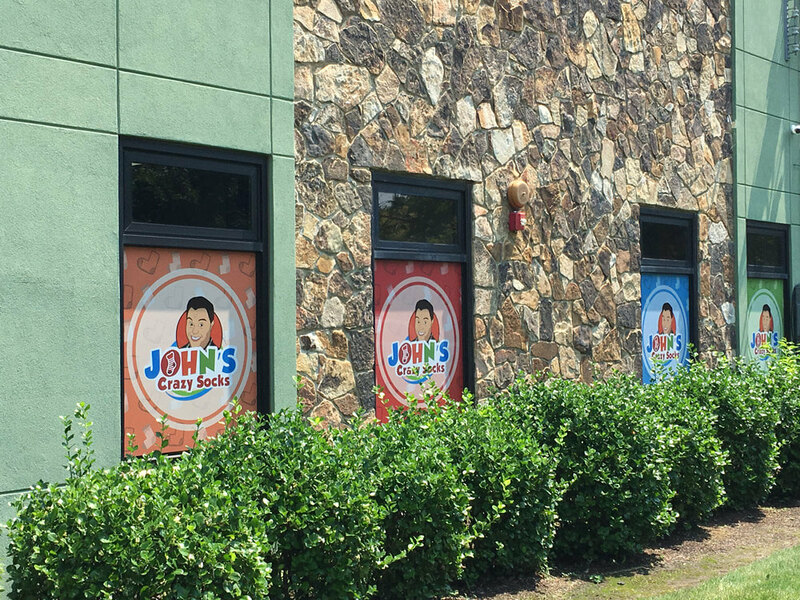 The city has reportedly agreed to provide land and the Israel Sports Authority will pay $1.5 million; the IAB would be responsible for the rest of the funds. Katz reports that he and the IAB have always sought to increase awareness of Israel baseball in the U.S. and Israel, to try to engage North American Jews around Israel baseball, and to build bridges with the U.S. and Israel. Fortunately, Team Israel was able to reach far beyond the Jewish state’s borders for its pool of potential players. According to WBC tournament rules, countries are allowed to field players who are eligible for citizenship in a given country. Thus, in Israel’s case, anyone eligible for citizenship under the Law of Return was permitted to try out for Israel’s team. In fact, only three Israeli citizens actually made the team. The rest were American Jews — like Zeid and Greenberg. Adam Greenberg, interviewed by this reporter for a Dec. 1, 2004 Jewish Ledger article, attended Hebrew school and celebrated his bar mitzvah at Temple Beth Tikvah in Madison, excelled at baseball, soccer and basketball at Guilford High, and was a scholar/athlete at the University of North Carolina. In 2002, Greenberg was drafted by the Chicago Cubs in the ninth round of the First-Year player draft. He spent several summers in the Florida State League, then a Double A team in West Tennessee, then a Triple A team in Iowa. Greenberg’s promotion to the Major League Chicago Cubs was watched with great excitement. He was called to the plate as a pinch hitter in the ninth inning of a July 9, 2005 game against the Florida Marlins. Sadly, the now 31-year old was struck in the back of the head by a 92 mile per hour fastball in his first and only major league appearance. He suffered a concussion and many months of dizziness, headaches, double vision and nausea. In recent years, Greenberg has gotten married, started Lu Rong Living, a dietary supplements company, and returned to playing baseball. 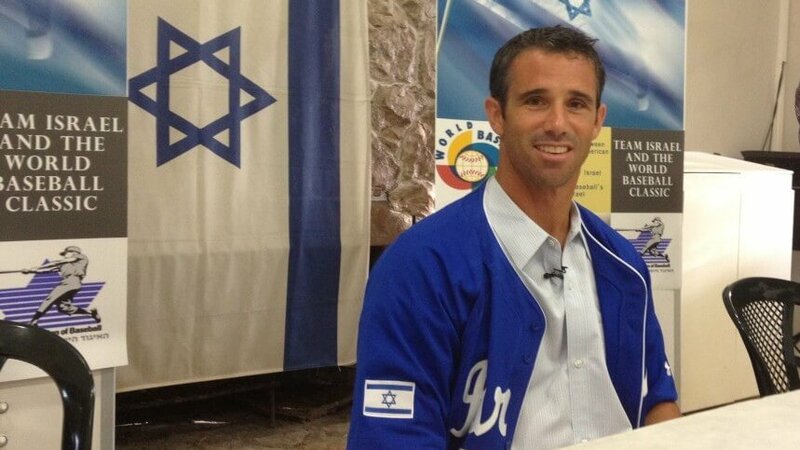 Greenberg was invited by Manager Ausmus to serve as his special (non-playing) assistant for Team Israel. When former Major Leaguer Gabe Kapler bowed out of the roster due to a groin injury, Greenberg was invited to join the 28-man roster. Marlins would sign Greenberg to a one-day contract that would earn him his first and only official Major League at-bat on Tuesday, Oct. 2 against the New York Mets. While he struck out on three pitches against the Met’s ace, RA Dickey, it was a dream come true. Zeid, 25, is a 6’ 5” pitcher who was drafted by the Philadelphia Phillies in the tenth round of the 2009 Major League baseball June amateur draft. Zeid just finished his season with the Corpus Cristi Hooks, a AA affiliate of the Houston Astros. Zeid’s parents, Ira and Karen Zeid, currently live in New Haven and are members of Congregation B’nai Jacob in Woodbridge. Zeid lives in Houston, Tex. with his fiancée, Stephanie. Zeid was scheduled to go to Israel in 2001 to play in the Maccabia Games. Zeid has not yet traveled to Israel, but he did get several chances to play for Team Israel. 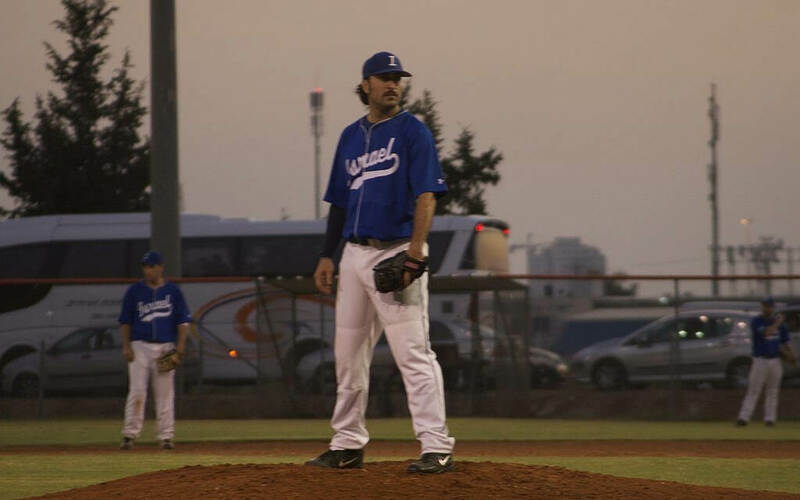 He pitched in all 3 games, got out of a tough inning with one out and two on against South Africa, and earned a save in Israel’s victory over Spain. Zeid also pitched two innings in the championship game against Spain, Zeid’s size 13 New Balance game-worn cleats are currently listed on eBay, with half the proceeds from the sale going to charity. Music fans of a certain age and generation recognize the name Jorma Kaukonen as a founding member of the classic rock groups, Jefferson Airplane and Hot Tuna. Few realize, however, that the 71-year old guitarist is Jewish — with deep family ties to the Ellington Jewish community. Jorma Kakounen grew up in Washington, D.C., the son of a Finnish-American father and Jewish mother. Since his father, Jorma Sr, was a State Department official, Kaukonen traveled extensively as a child, including stints in the Philippines and Pakistan. Kaukonen picked up his first guitar at age 15, and has been an important figure in the music world for more than fifty years. Kaukonen attended Antioch College in Ohio, worked and studied in New York, traveled abroad, then moved to the San Francisco Bay area where he played and taught guitar. A banjo playing friend invited him to join a rock band — which he later helped name — The Jefferson Airplane. Kaukonen is perhaps best known for his work with Jefferson Airplane, which included such well-known members as Marty Balin, Paul Kantner, Jack Casady and Grace Slick, and performed at three of the best known music festivals of the 1960s — Monterey, Woodstock and Altamont. 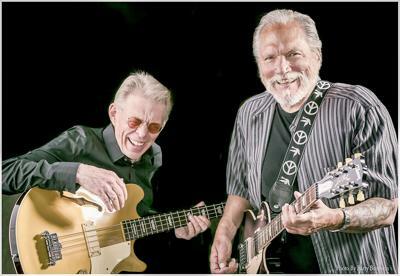 When the band broke up in 1973, Kaukonen and bassist, Casady, formed Hot Tuna. Kaukonen continued to tour with Electric Hot Tuna, Acoustic Hot Tuna, and alone. He remains a highly respected practitioner and teacher of finger-style guitar, as well as an interpreter of roots and blues music. Kaukonen is also a proud Jew. Though, growing up, he and his family were not particularly observant, his interest in the Jewish religion and Israel has been rekindled in recent years. “I was born Jewish. I didn’t have a bar mitzvah. We had a seder — in a way. My grandmother, Emma Goldman, would have been considered a hippie, and my grandfather would have been considered Orthodox!” Kakounen told the Ledger in a recent phone interview. In 1988, Kakounen met Vanessa. They married several months later. It was, ironically, through the Catholic-born Vanessa that the couple became more interested in Judaism. Through a very complex series of events — that began when Vanessa observed her husband’s road manager, Ira Silver, lighting a yahrtzeit candle – Vanessa’s interest in Judaism was sparked. She briefly moved away from this interest, and on a trip to Cabo San Lucas a few years later, discovered a book about kabbalah. The couple continued exploring Judaism together. Ultimately Vanessa converted to Judaism. Her husband proudly reports that he studied along with Vanessa and actually “reconverted.” The Kakounens live in southeastern Ohio, where they operate the Fur Peace Ranch Guitar Camp. It is located on 125 acres of fields, woods, hills, and streams in the Appalachian foothills. Kaukonen proudly reports in our interview, “Last night, we hosted a special children’s Rosh Hashanah program at the ranch.” The Kaukonens are very connected to the Hillel at the University of Ohio, and note that they would send their 8-year old daughter, Israel, to Hebrew School, “if there was one within 100 miles!” The Kakounens also receive regular visits from an Ohio Chabad rabbi. Two years ago, the rock star visited Israel for the first time. At midnight, during the Tel Aviv Hot Tuna concert, fans sang “Happy Birthday” in Hebrew, and he was presented with a birthday cake. He briefly toured Israel, ate chumous at a famous Jaffa restaurant, and put on tefillin at the Kotel. Kakounen looks forward to returning to Israel this winter, with concerts on Dec. 13 in Jerusalem and Dec. 15 in Tel Aviv. Though baseball is a ‘Jewish sport’, its roots in Israel are still taking hold. 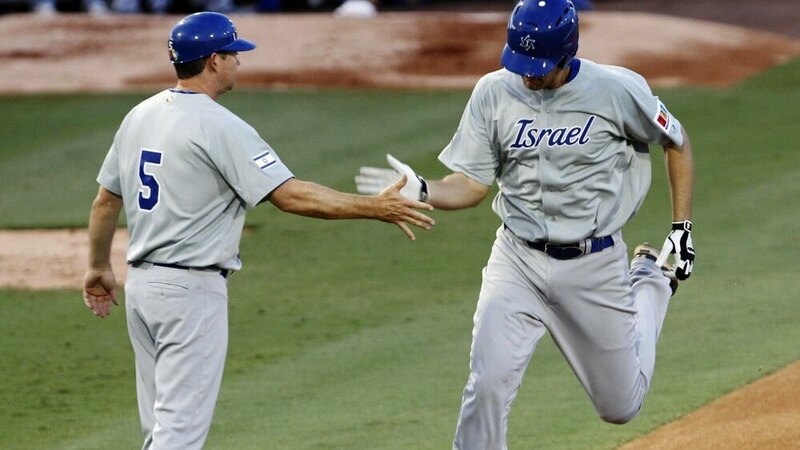 Team Israel is taking to the baseball diamond this week in South Florida in a bid to participate in the March 2013 World Baseball Classic. How did the blue and white players get there, and what are their chances? In the baseball world, South Florida is associated with Major League Baseball’s spring training. And September is traditionally the season of pennant races and league championships. But starting this September 19, Roger Dean Stadium in Jupiter, Florida [90 minutes north of Miami and half an hour south of where the New York Yankees train each March] will host teams from France, Spain, South Africa and Israel — all part of the World Baseball Classic (WBC) qualifying round. 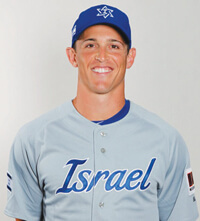 There, a handful of well-known Jewish former Major League players will on hand as they help Israel qualify for a spot in the March 2013 World Baseball Classic. While not as well known as Major League Baseball’s World Series or even the Little League Baseball World Series, the World Baseball Classic is considered to be the premier international baseball tournament. It is run by WBCI (World Baseball Classic, Inc.) and is sanctioned by the International Baseball Federation. Major League Baseball and the Major League Baseball Player’s Association together created the event, which has thus far been held twice. Team Japan, the reigning World Baseball Classic Champion, won the tournament in both 2006 and 2009. More than 1.5 million fans from all over the world have attended the tournament to date. Between September and November, four qualifying tournaments will be held in various locations around the world. Host cities include Jupiter, FL (USA), Regensberg, Germany, Panama City, Panama, and New Taipei City, Taiwan. Six games will be played at each location, following a modified double elimination format. Teams competing include Canada, Great Britain, Czech Republic, Panama, Brazil, Colombia, Nicaragua, Philippines, Thailand, New Zealand and China Taipei. In March 2013, the first round of the main tournament will get underway in Phoenix, Arizona. The second round will take place in Miami, Florida, and the championship round will be held at AT &T Park in San Francisco, California. Israel is participating in its first WBC. The pool of potential players expands beyond actual citizens of the State of Israel since, according to WBC tournament rules, countries are allowed to field players who are eligible for citizenship in a given country. In Israel’s case, anyone eligible for citizenship under the Law of Return is permitted to try out for Israel’s team. This may be good news for the Jewish State — given the overall weak popularity of baseball in Israel, and Israel’s relatively poor record of producing homegrown baseball standouts. While an article on the Israel Baseball League website, “Baseball in the Times of Our Forefathers,” satirically suggests that baseball has been played in Israel since biblical times, baseball was likely introduced to Israel on July 4, 1927, at the Sephardic Orphanage in Jerusalem when the governess of the orphanage handed out baseball equipment to her charges. Later, in the 1970s, immigrants from North America began playing baseball upon their arrival in Israel. Baseball has, nonetheless, been slow to catch on in Israel. Between 1,000 and 3,000 people currently play in baseball and softball leagues in Israel, though few regulation sized fields exist. In December 1986, the Israel Association of Baseball was formed to create an infrastructure and promote baseball in Israel. In July 2005, the Israel Baseball League was formed, and in June 2007, six teams kicked off the inaugural season of the IBL. The IBL existed as a league for only one season. The Israel Association of Baseball (IAB) currently exists to promote baseball in Israel. There are currently five leagues with teams playing in sixteen centers from Tel Aviv to Beit Shemesh, Ra’anana, Jerusalem and Even Yehuda. The IAB trains coaches and umpires, hosts coaches and teams from overseas, and sends youth teams to tournaments around the world. Haim Katz, the IAB President, is passionate about baseball, a game he calls “the most Jewish sport in North America.” Katz, 59, moved from Pittsburgh, Pennsylvania to Israel in 1978. His love of baseball was “handed down from my father,” reports Katz; he traces his interest in baseball to 1960, the year he attended the World Series. He attended Game 2 when his Pittsburgh Pirates lost to the New York Yankees, 16-3. He playfully notes that he is still a Pirates fan. Katz says he and the IAB seek to increase awareness of Israel baseball in the US and Israel, try to engage North American Jews in Israel baseball, and build bridges with the US and Israel. 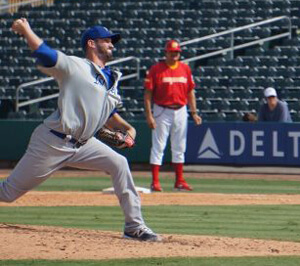 In assembling the team for the WBC tournament in Florida, Katz has tried to offer opportunities to up and coming Israeli players, while also including well-known, Jewish former Major Leaguers. 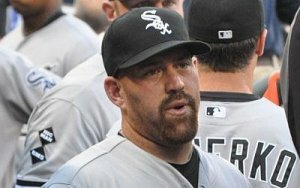 The 39-year-old Green, who played for four major league teams and hit 328 home runs in his 15 year career, will likely serve as the team’s hitting coach. Kapler, 36, played for 12 years and won a World Series with the 2004 Boston Red Sox; he retired in 2010. Other players rumored to be considering roles with the team (either for the qualifiers, or in March 2013, should Israel advance to the tournament) include: Milwaukee Brewers outfielder Ryan Braun, Chicago White Sox third baseman Kevin Youkilis, Texas Rangers second baseman Ian Kinsler, New York Mets first baseman Ike Davis, San Diego Padres right-handed pitcher Jason Marquis, Boston Red Sox Catcher Ryan Lavarnway, and New York Mets infielder Josh Satin. There has recently been some online talk about granting a spot to Adam Greenberg, 31, who, in 2005 as a member of the Chicago Cubs was hit in the head by the first pitch of his only major league appearance. Former Major Leaguer Art Shamsky, who played for the 1969 “Miracle Mets,” will serve as Israel’s ambassador to the World Baseball Classic Qualifiers. Manager Ausmus, who grew up in a not very Jewishly connected family in Connecticut (USA), was contacted by Haim Katz over a year ago, via an email to the San Diego Padres organization. He, Peter Kurz, the Secretary General of the IAB, Green and Kapler met. Ausmus soon after agreed to be part of Team Israel. “When I was appointed manager, it became very clear that I needed to visit Israel, since I never had. At the end of May, my wife and I spent about a week in Israel, traveling to tourist sites, seeing baseball facilities, meeting some of Israel’s baseball players. I loved floating in the Dead Sea, surfing in the Mediterranean Sea at Tel Aviv (and bragging about it to my surfer friends in Tel Aviv), and going to Jerusalem. “We are extremely fortunate to have someone of Brad’s caliber to manage the team. His skills and knowledge of baseball are top rank — and the team has top talent. Brad sees the bigger picture here, he is a pleasure to work with, and he is a mensch!” observes Katz. Some 18 members of the team coming from Israel are playing several exhibition games in the Miami area on September 11 and 12. The rest of the team will join on September 13 and play several more exhibition games in South Florida. Team Israel’s first tournament game will be on September 19 against South Africa and it will play a second game on Friday, September 21, against either France or Spain, with possible games on Saturday or Sunday if it advances.